Our cloud-based K1 platform acts as a centralized asset database that provides real-time insights. The platform provides the tools to manage all aspects of telecom and wireless spend. 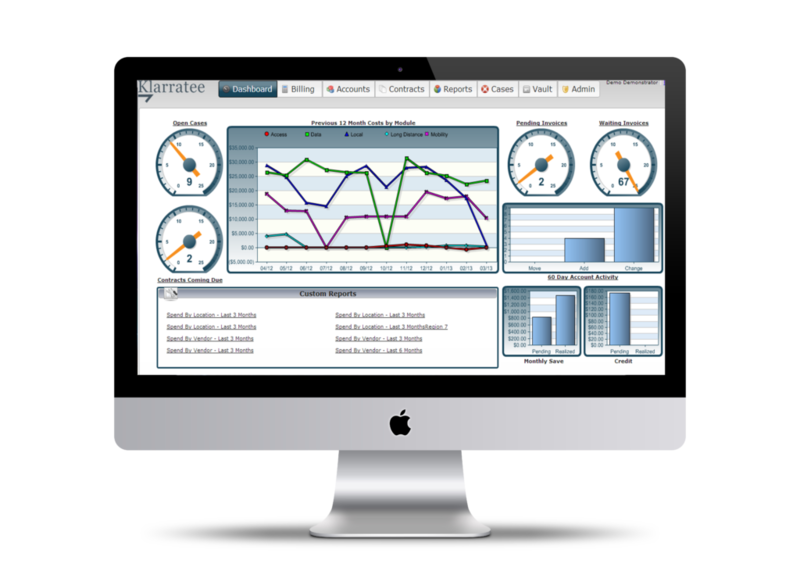 The intuitive, customized dashboard displays high-level visualizations, but it’s also equipped with custom reports to gain a deeper visibility and insight on telecom expenses. The K1 portal gives you a simple way to analyze contract rates and compare usage records, manage cost variances, and manage disputes. Take control of your assets and schedule a K1 Demo.